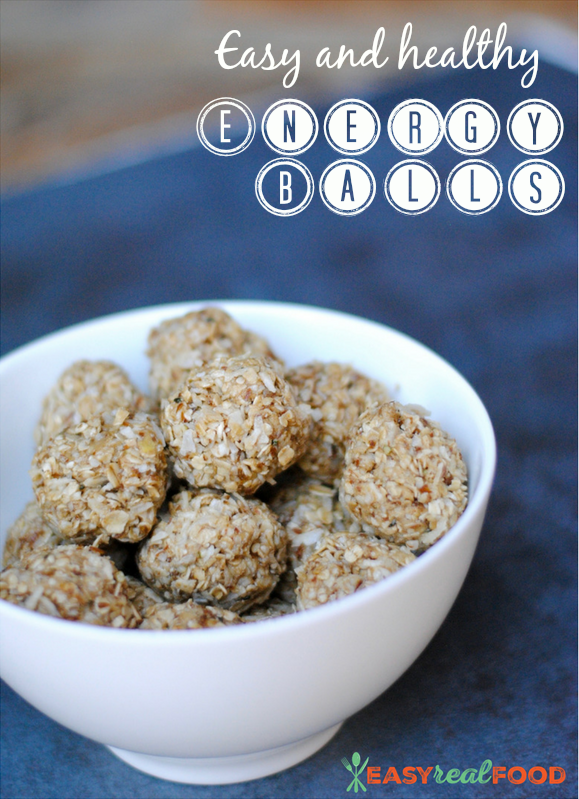 Have you tried energy balls yet? If not – you are missing out. Because these little suckers are soooo good, and just as easy to make. 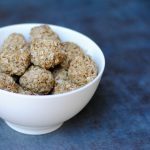 Today I’m sharing a recipe that I created which is now a weekly staple in our house: easy and healthy energy balls. They are finger foods. I mean, right? Who doesn’t love that? They’re so easy to pop. Almost dangerous. 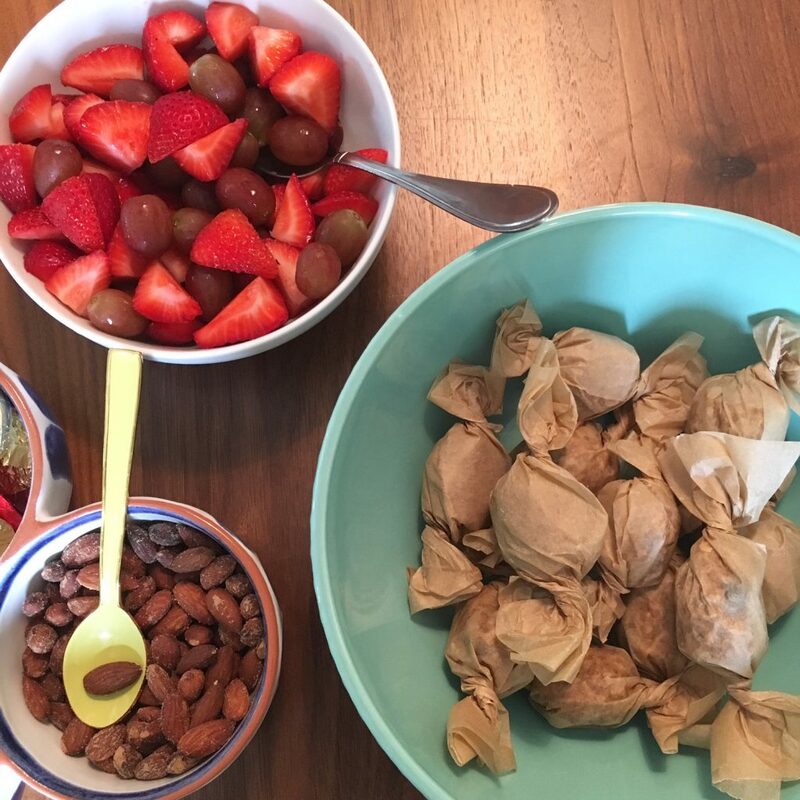 Active kiddos and adults can enjoy these a post-workout recovery snack. Food with a purpose! The touch of sweetness is perfect for those with a sweet tooth. Um, me. 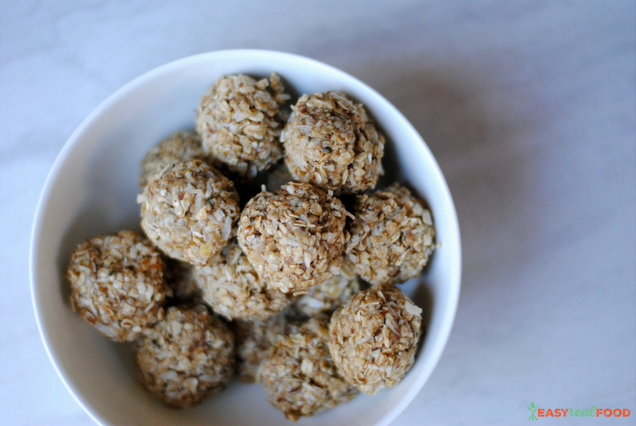 These energy balls aren’t just a fluff snack. No, you’ll actually feel full from them and also get some good nutrition and (bonus) fiber. In all seriousness, they are perfect for after-school snacks on the go, and also pack nicely into school lunches. Rock on, mom! I almost forgot … this is a 1-bowl recipe. HUGE score in my book. Unsweetened coconut. 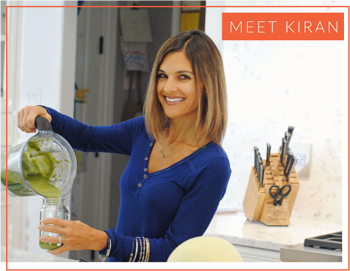 Don’t buy the large flakes – made that mistake one time and had to pull out the blender. Trader Joe’s unsweetened sunbutter, so as to not add more sweetness. This ice cream scoop is perfect for scooping out the balls (and then rolling them). I know that there are lots of variations out there, but these are definitely my favorite. Let me know if you make a batch!! These energy balls are delicious!!!! And love the idea of wrapping them up so kids can grab them on the go!! !